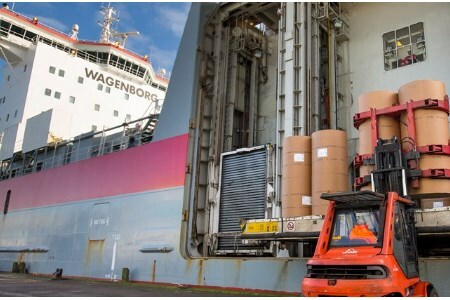 Jenkins, a national logistics provider specialising in paper, pulp and other forest products, is to invest in a £17 million new custom-built warehouse at the Port of Liverpool. Jenkins, who have been a tenant at the Port of Liverpool for 10 years, have reached an agreement on managed services at Liverpool and London Medway, with the aim of increasing traffic significantly at both ports. The commitment secures over 500 000 ft2 of warehouse space, 300 ft2 of which is new investment in a bespoke state-of-the-art paper and pulp facility at the Port of Liverpool. The facility will provide a major increase in capacity at Liverpool allowing Jenkins to increase its throughput. Construction on the warehouse is due to begin 2019 and be completed in 2020.